Obese individuals exhibit altered circulating levels of adipokines, the proteins secreted by adipose tissue to mediate tissue cross-talk and regulate appetite and energy expenditure. 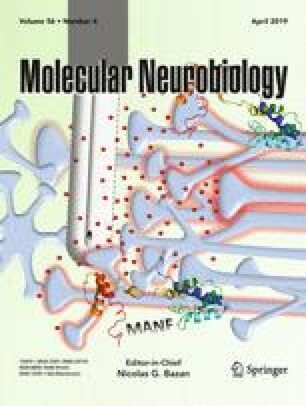 The effect of adipokines on neuronal glucose metabolism, however, remains largely unknown. Two adipokines produced in adipose tissue, adiponectin and resistin, can gain access to the central nervous system (CNS), and their levels in the cerebrospinal fluid (CSF) are altered in obesity. We hypothesized that dysregulated adipokines in the CNS may underlie the reported link between obesity and higher risk of neurological disorders like Alzheimer’s disease (AD), by affecting glucose metabolism in hippocampal neurons. Using cultured primary rat hippocampal neurons and mouse hippocampus slices, we show that recombinant adiponectin and resistin, at a concentration found in the CSF, have opposing effects on glucose metabolism. Adiponectin enhanced glucose uptake, glycolytic rate, and ATP production through an AMP-activated protein kinase (AMPK)-dependent mechanism; inhibiting AMPK abrogated the effects of adiponectin on glucose uptake and utilization. In contrast, resistin reduced glucose uptake, glycolytic rate, and ATP production, in part, by inhibiting hexokinase (HK) activity in hippocampal neurons. These data suggest that altered CNS levels of adipokines in the context of obesity may impact glucose metabolism in hippocampal neurons, brain region involved in learning and memory functions. Conceived and designed the experiments: P.C. and N.C.I. Performed the experiments: P.C. and M.M. Analyzed the data: P.C., R.S.A., G.W.W., and N.C.I. Contributed reagents/materials/analysis tools: N.C.I. Wrote the manuscript: P.C., G.W.W., and N.C.I. This work was supported by grants from the Basal Center of Excellence in Aging and Regeneration (CONICYT-AFB 170005) to N.C.I., FONDECYT (no. 1160724) to N.C.I., FONDECYT (no. 11160651) to P.C, and the National Institute of Health (DK084171) to G.W.W. We also thank the Sociedad Química y Minera de Chile (SQM) for the special grants “The role of K+ on Hypertension and Cognition” and “The role of Lithium in Human Health and Disease”.